Cebu City. 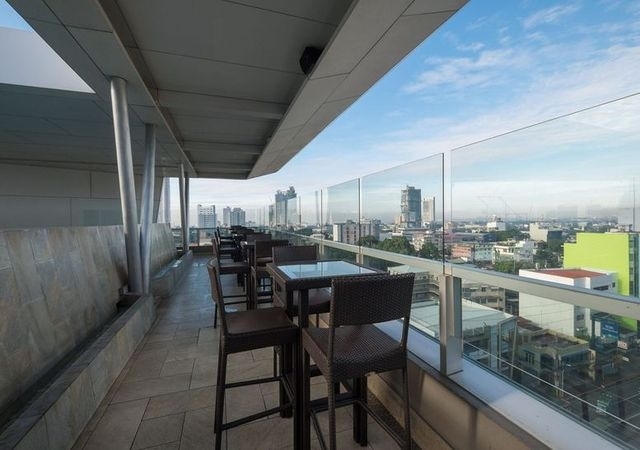 Crowned as the Queen City of the South, it is here where business and leisure breathe together with office buildings and beach resorts finding its own place under Cebu’s friendly skies. Cebu is subdivided into 6 component cities and 47 municipalities. 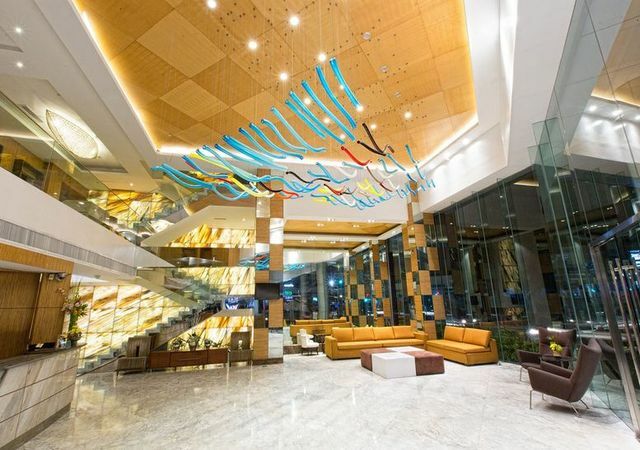 With its 6 cities; Cebu, Danao, Lapu-Lapu, Mandaue, Toledo and Talisay; and its 47 smaller towns, Cebu has more than kept pace with the nation’s progress. 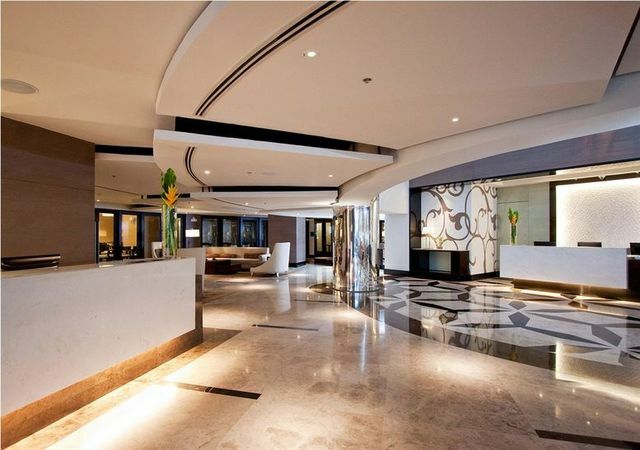 Recent indications pointed out that Cebu has become the country’s favorite tourist destination. In contrast to the bustling metropolis, the rest of Cebu’s 167 islets and islands are lined with idyllic white sandy beaches and pristine clear waters. 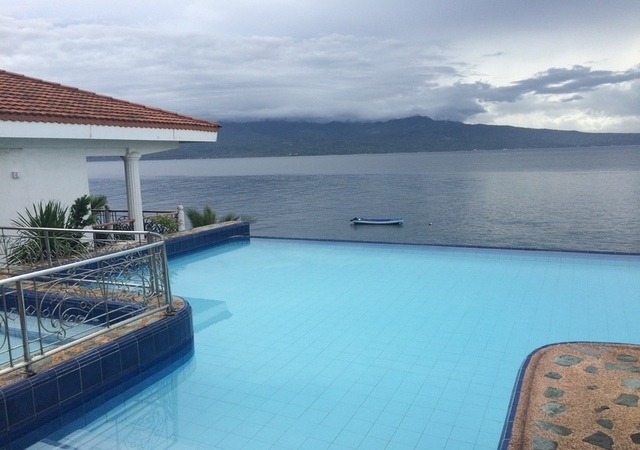 Cebu has gained wide popularity for fantastic diving grounds evidenced by the proliferation of resorts which offer luxurious accommodations. 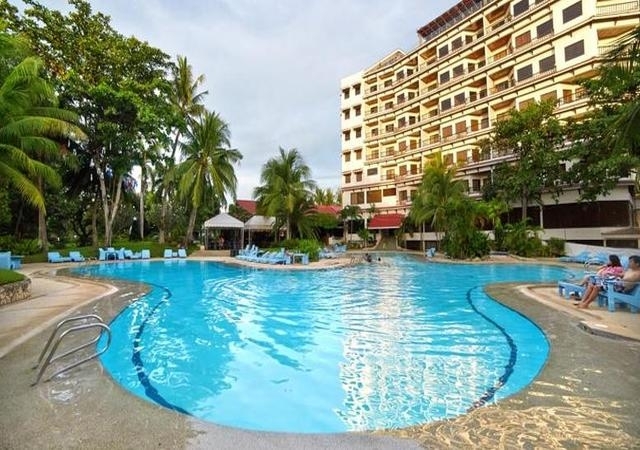 Cebu’s strategic location makes it ideal for those who wish to travel to the other favorite tourist destinations such as palawan( puerto princesa and el nido), legaspi(donsol, whalesharks), Boracay and Bohol via ferry. 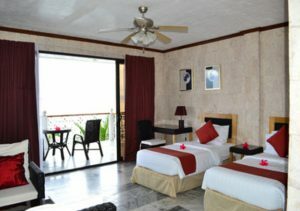 Php 3,400.00 per room per night based in twin share with breakfast. 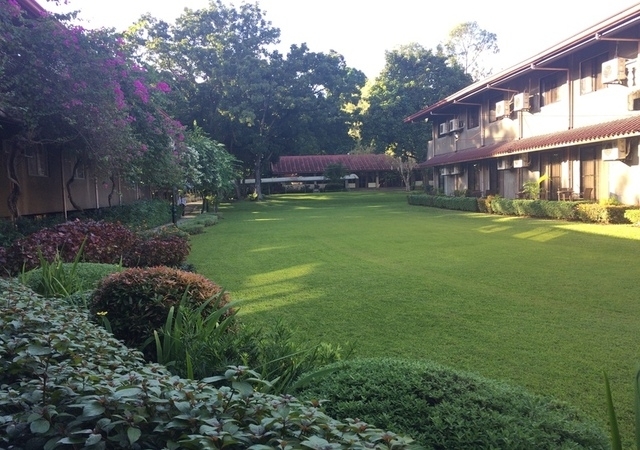 Montebello Villa Hotel remains to be the only garden hotel at the heart of the oldest city in the Philippines. 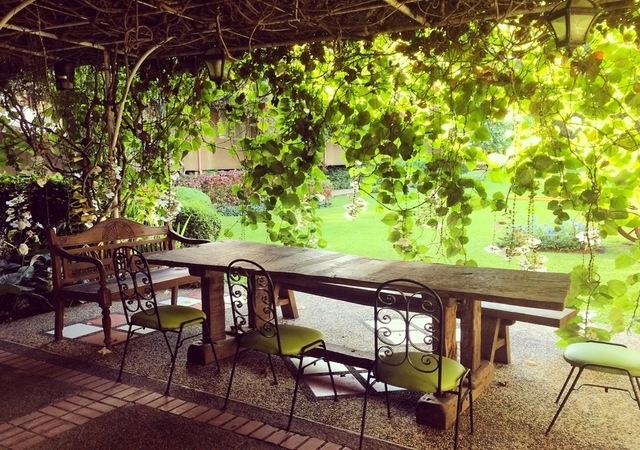 With an enchanting 4-hectare hacienda, it reflects the richness and charm of Cebu’s Hispanic heritage. 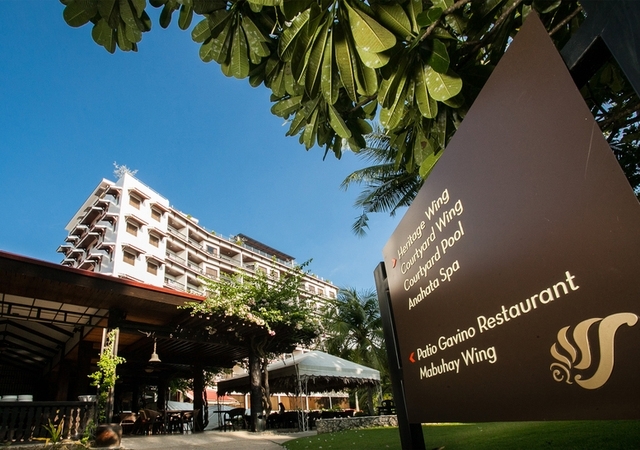 It is a perfect blend for business and leisure with a combined atmosphere of luxury and comfort in total commune with nature. 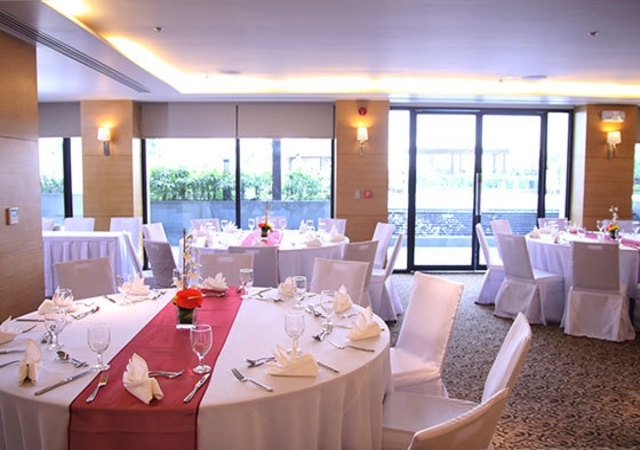 The room at the resorts though could use some renovation but quietness, a big garden, swimming pool cannot be beaten by any other hotel in the city. A small shopping mall is walking distance. Delight in stunning views for peace and inspiration in either walled garden view or sweeping views of lush gardens in a secluded setting. 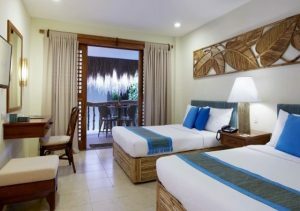 The refreshed rooms are embellished with an appealing blend of traditional and contemporary styles with a luxurious space for exceptional comfort and fond memories. 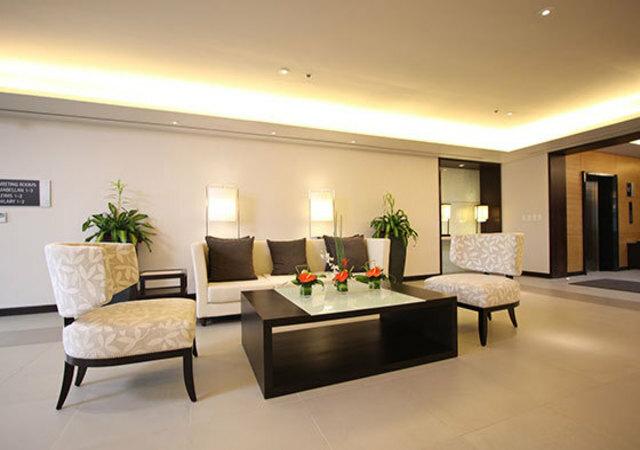 Located at the Ground Floor and Second Floor areas. 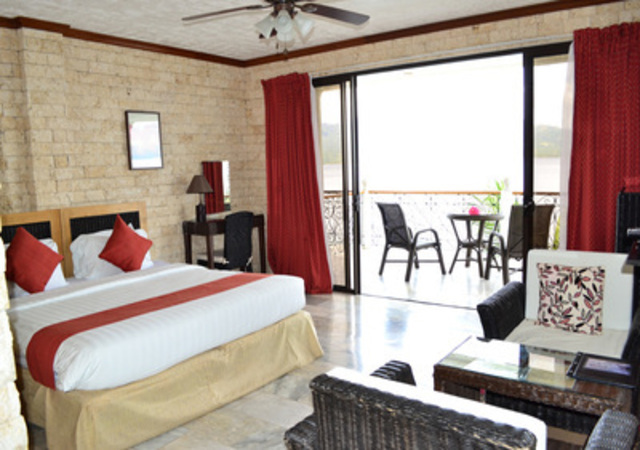 The Deluxe room can accommodate a maximum of 2 adults and 2 children that are 11 years old and below. A third adult/child staying is subject to an extra person charge. 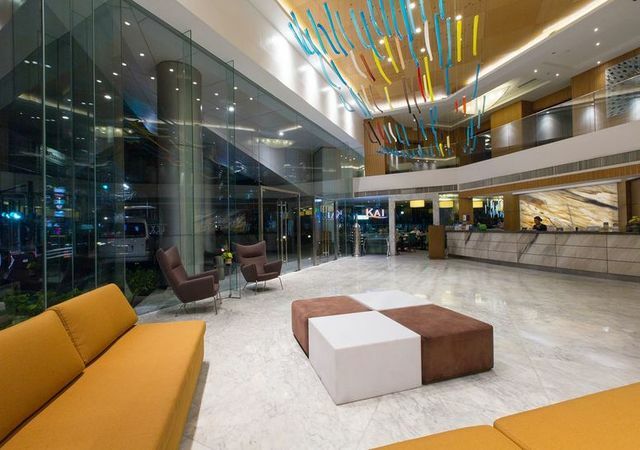 Right at the heart of uptown Cebu, rises the Best Western Plus Lex Cebu Hotel. The Best Western Plus Lex Cebu boasts of 86 exquisitely-designed guestroom and suites. 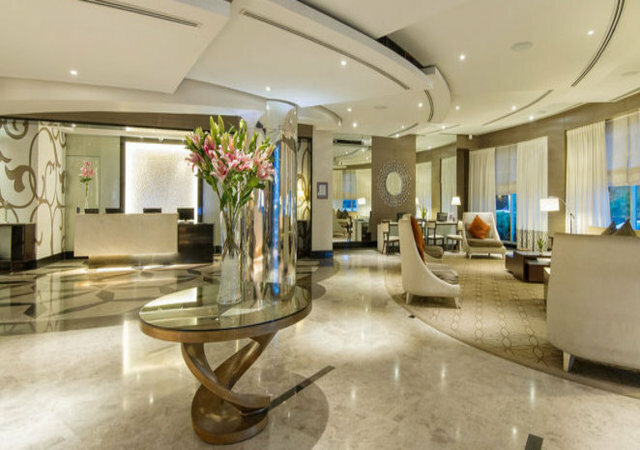 The hotel is located along busy roads which can cause some noise depending on the location of the room. The room looks nicer and are newer than at the older Quest hotel but the location of Quest hotel is definitely better. 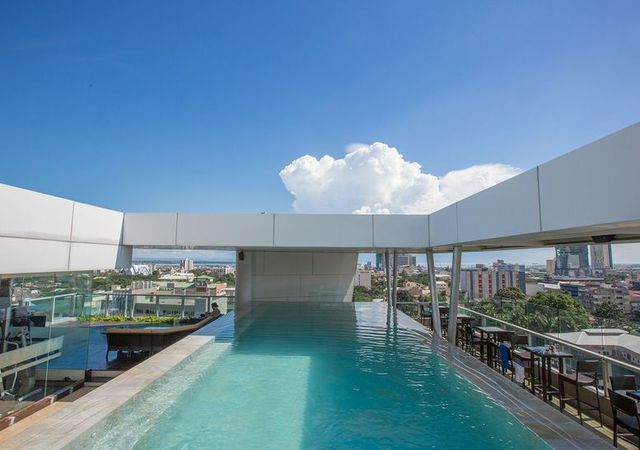 The roof deck infinity pool was captivating with the panoramic view of the busy streets and locality of the City. 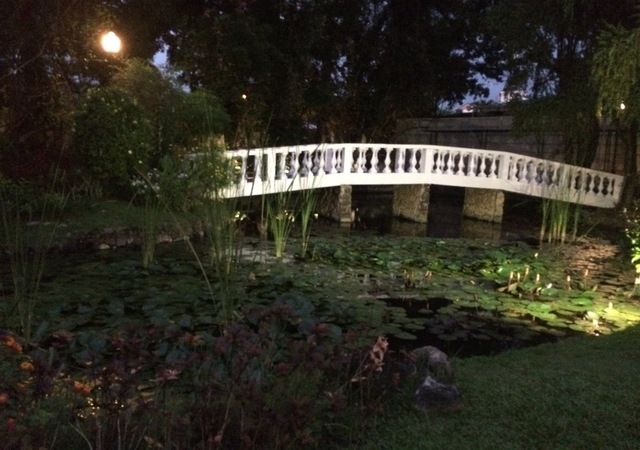 Where you can also see the transition of day to night in that area. 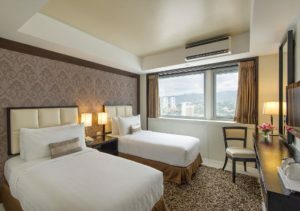 Quest Hotel in Cebu city, centrally located and within walking distance from Ayala shopping mall is the first hotel with more than 400 rooms offering cool, clean and comfy rooms and suites imaginatively designed with a modern sophistication and contemporary chic vibe. Quest Hotels are welcoming and practical, offering an exceptional combination of style and function – outfitted for a luxurious escape, but equipped to please the most discerning traveler. 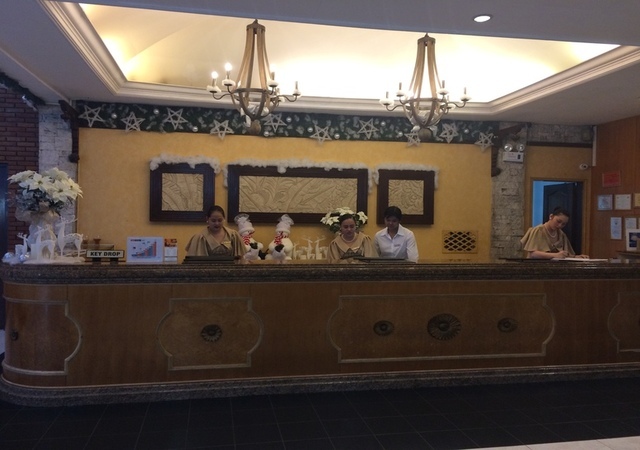 Quest hotel offers services which one would expect at 3 star hotels such as a coffee shop, meeting rooms, parking spaces as well as a small spa and gym. 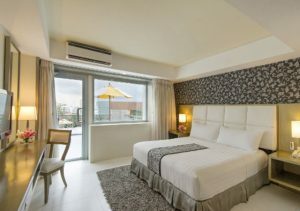 Deluxe room with 25 sqm, clean and cool completed with safety deposit box, minibar, cable TV with various channel, a writing desk with universal power socket. All rooms are non-smoking. Can only accommodate maximum of 2 Adults and 1 Child (11 years old and below) when sharing bed with parents. Extra bed and futon is not allowed. 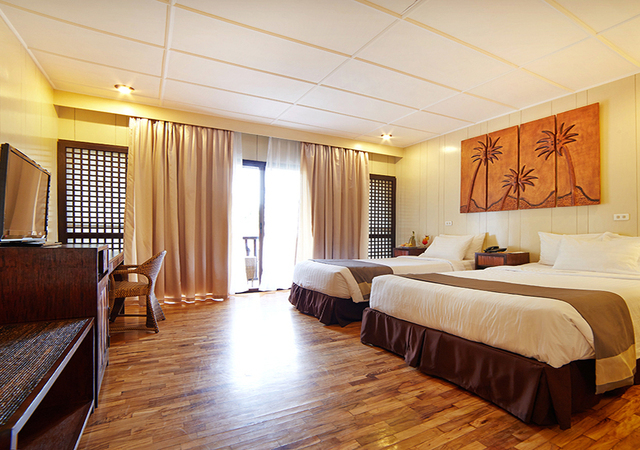 Premier Deluxe room with 25sqm of space plus a step-out balcony. 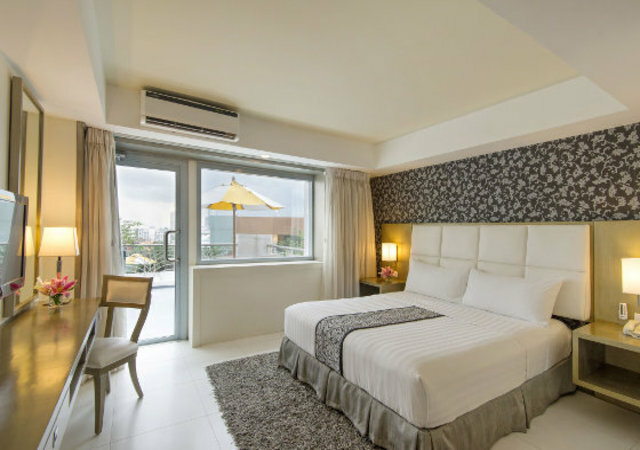 Clean, Cool & completed with a safety deposit box, a minibar, LCD cable tv with numerous channels & a writing desk with a universal power socket.Can only accommodate maximum of 2 Adults and 1 Child (11 years old and below) when sharing bed with parents. 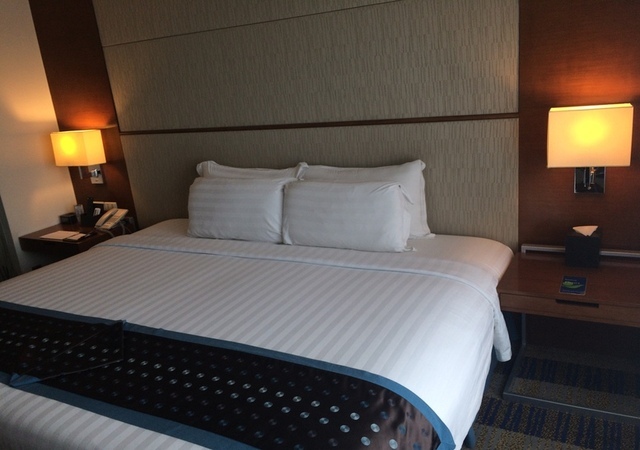 Bed configuration (King or Twin Bed) is strictly subject to availability. Extra bed and futon is not allowed. 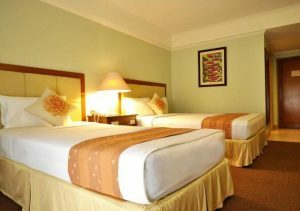 Php 4,540.00 per room per night based in twin share with breakfast. 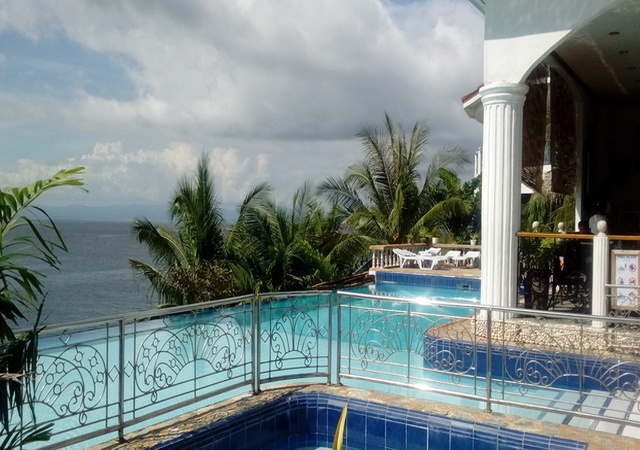 Eden Resort is located in Liloan, Santander on the southernmost tip of Cebu Island – Located in the centre of famous dive sites as Apo Island, Pescador Island, Balicasag and more. 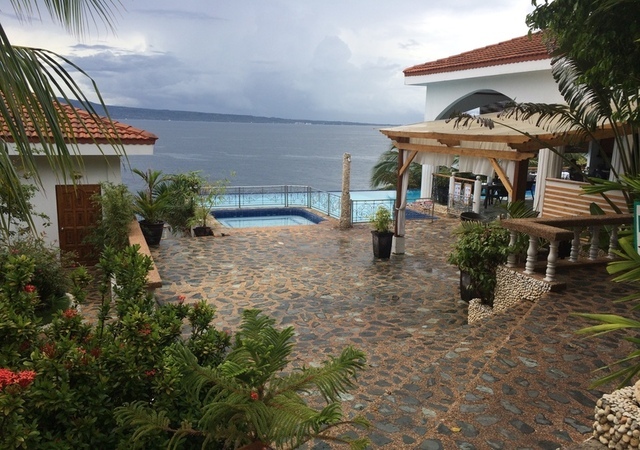 Eden resort can be reached best via Dumaguete which is just a 30 min ferry/ bangka ride away. 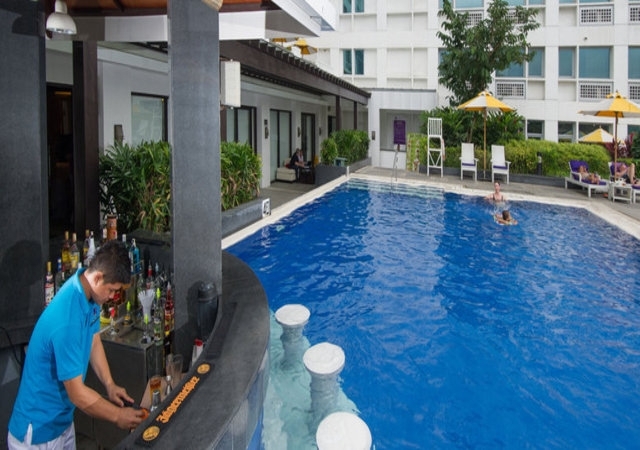 The resort is rather new with all luxury you can expect from western standard accommodation. Eden got only 10 rooms and therefore can keep a familiar relation with their guests. 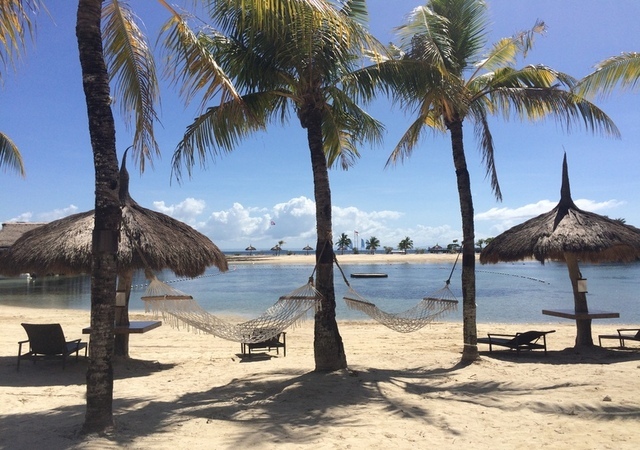 Situated on a beautiful coral reef it’s the perfect spot if you like to go scuba diving, or just like to enjoy an afternoon of snorkeling. 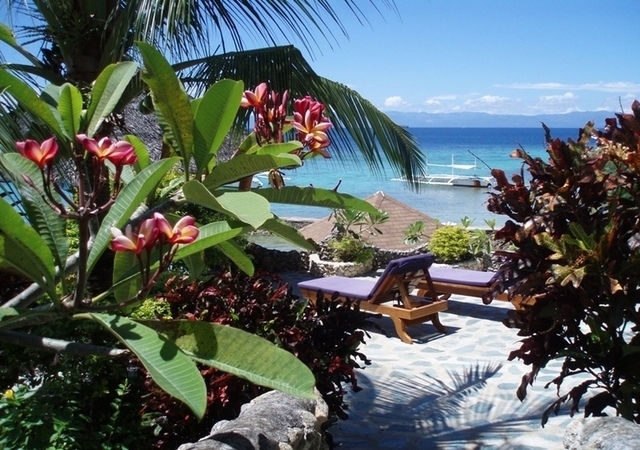 Oslob where you can snorkel with whale sharks is just a 45 min drive away from the resort. 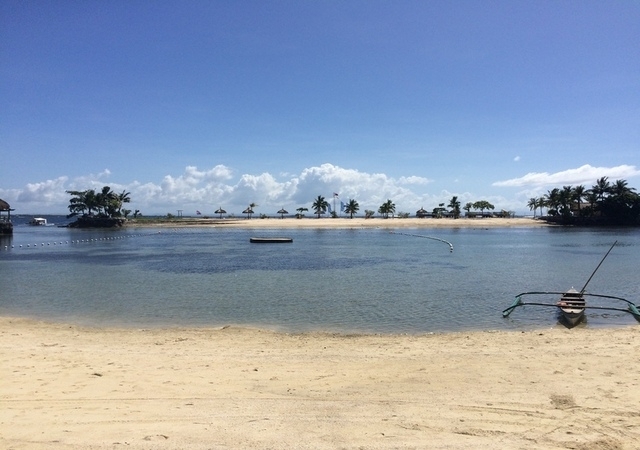 Moalboal is a 2 hour drive going north. Overlooking the Bohol Sea, air-conditioned rooms come with a wardrobe, in-room safe, a flat-screen cable/satellite TV and a balcony with seating area. 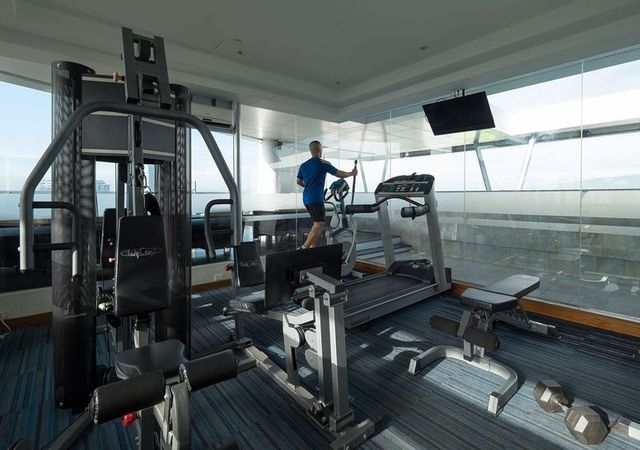 Other amenities include a fridge, minibar and electric kettle. 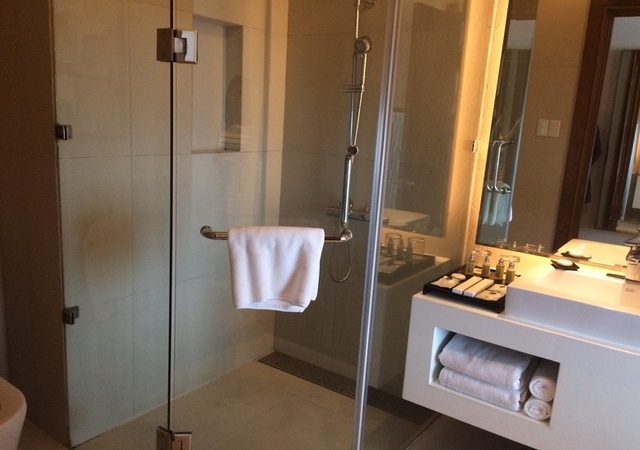 The en suite bathroom offers shower facility, hairdryer and free toiletries. This suite features a balcony, patio and minibar. 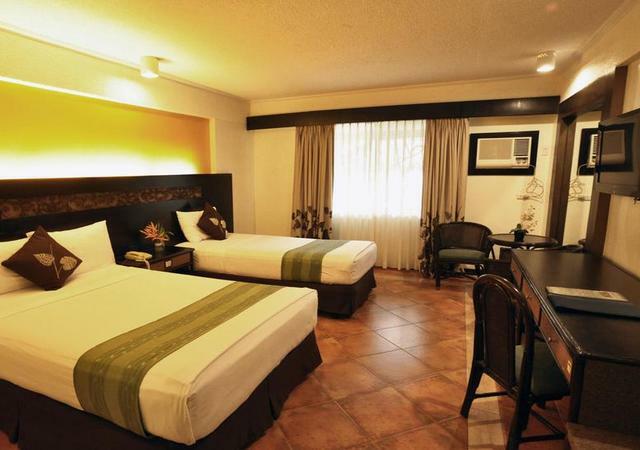 Php 5,260.00 per room per night based in twin share with breakfast. 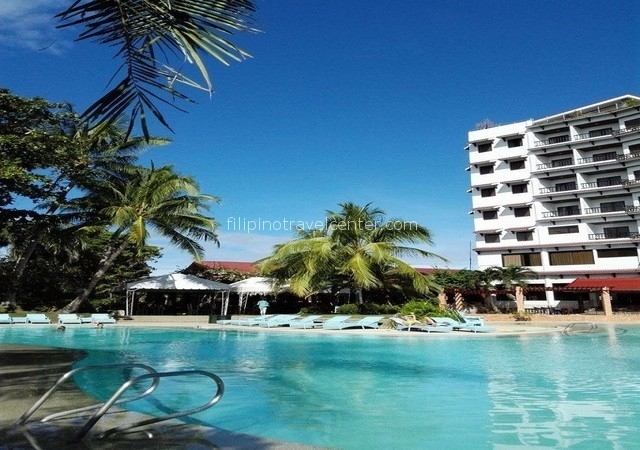 Cebu White Sand is 4 star private resort hotel located on the east coast of Mactan Island, next to Maribago bluewater resort. 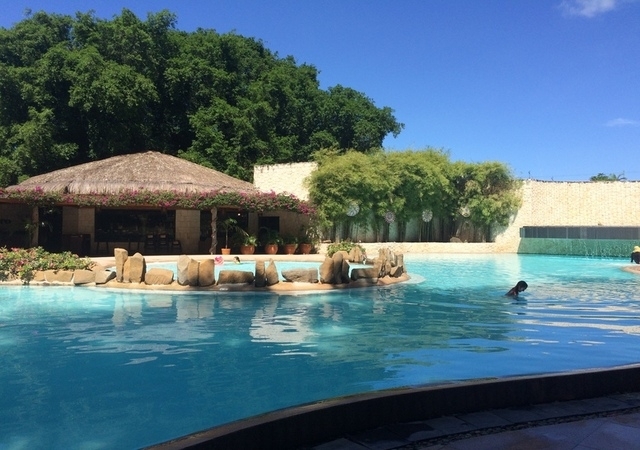 It is only 20 minutes by car from the Mactan – Cebu International Airport and 40 minutes away from the historic Island of Cebu. 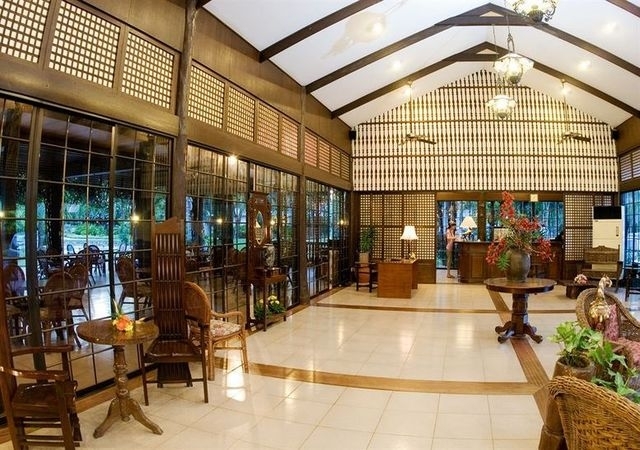 The resort’s 86 guest rooms are situated on a 2-hectare property carefully developed to create that perfect blend of turn-of-the-century Philippine architecture and modern facilities for style and comfort. 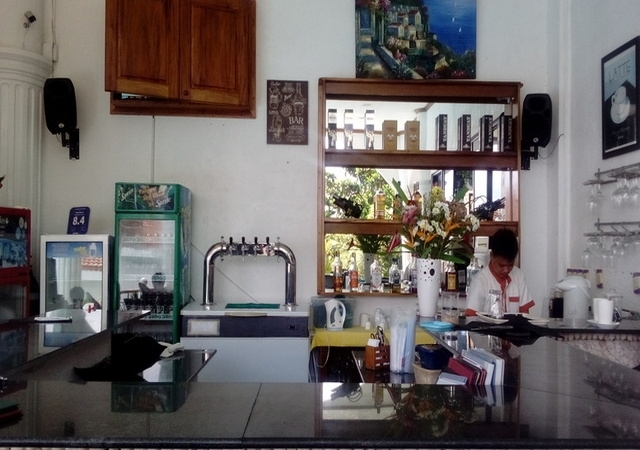 The deluxe rooms all have a mini-bar with refrigerator, complimentary bottled water, coffee and tea amenities, color cable television, two intercom-NDD/IDD telephone system, and a private bathroom with bathtub, shower, and hot and cold running water. The courtyard rooms have their own safety deposit box. 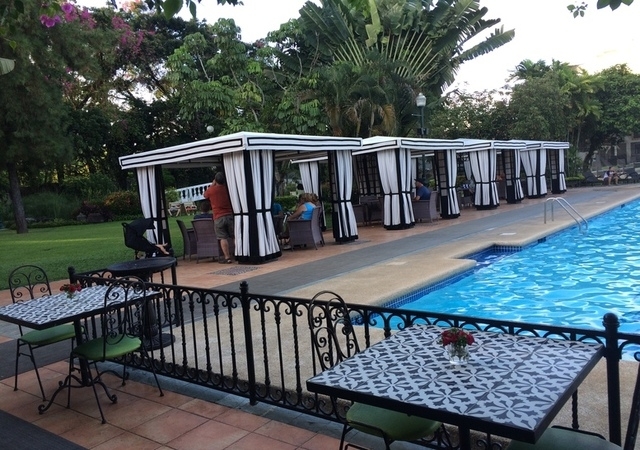 Established in July 1989, Bluewater Maribago is wholly Filipino owned chain of resorts showcasing the best Filipino culture; creative, warm, friendly, attentive, caring, and relaxing. 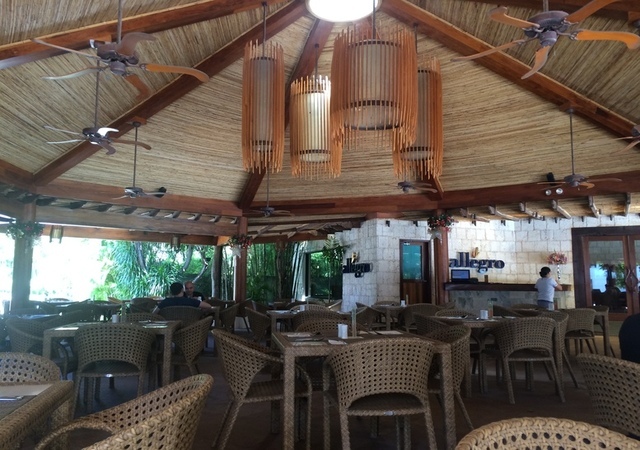 Bluewater Maribago with the boggest/best beach around is professionally run with full guest service and aminities. Maribago Bluewater Beach Resort has a total of 170 rooms (30 Premier beachwing rooms, 3 Royal Bungalows, 86 Deluxe rooms, 50 Amuma Spa Suites and 1 Island Suite Deluxe room). 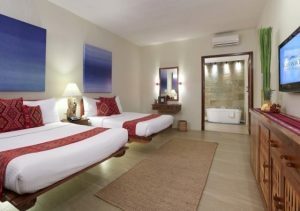 Room amenities include mini bar, cable TV, international direct dialing, telephone shower/bathtub, private veranda and coffee/tea service. 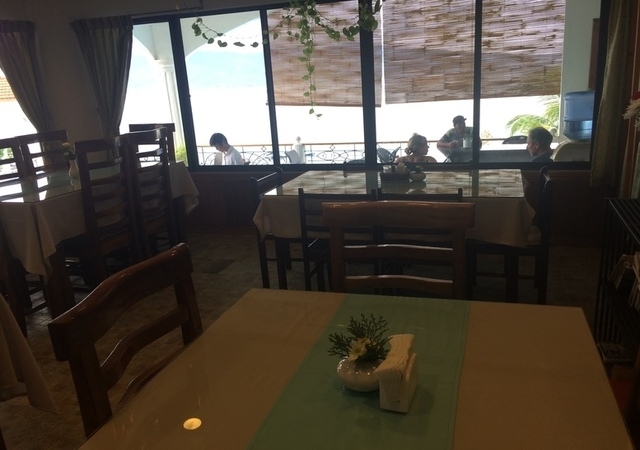 The resort is also known for its Marine Wildlife Saltwater Lagoons filled with assorted tropical fish, including black tip reef sharks, grouper, and clown fish. 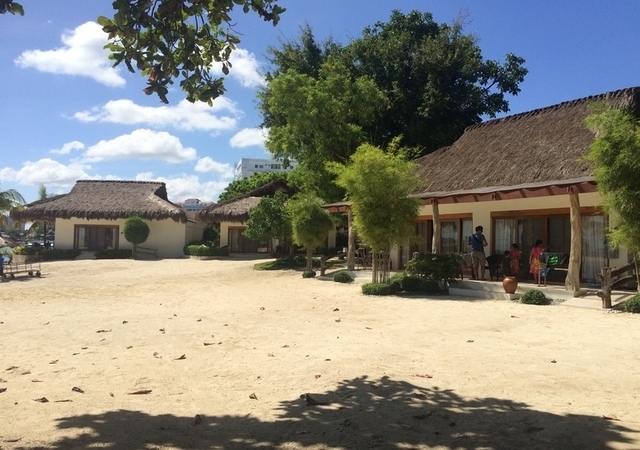 At the moment they have ten spacious cottages for two persons. Five of the cottages are big enough for an extra bed if it’s needed. 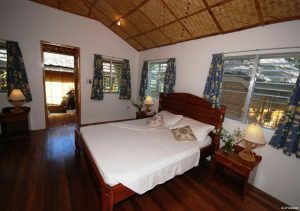 All of the cottages have everything you need for a relaxed holiday including air-conditioning, a fan and a hot shower. 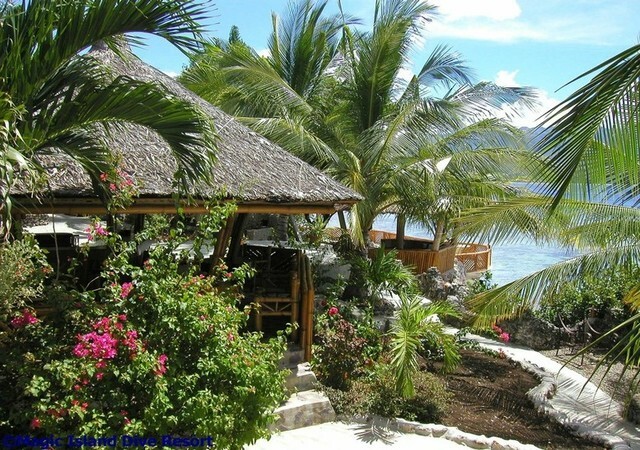 Every one has a private veranda with seating and either a sea or swimming pool view. 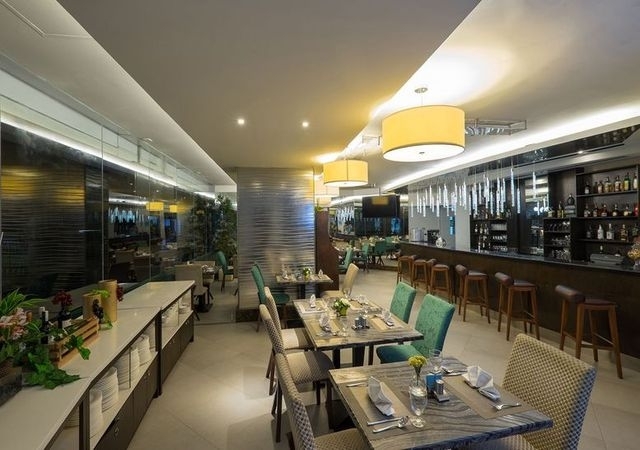 Their spacious restaurant offers a great variety of traditional Philippine cuisine and also European dishes like a delicious pasta or a refreshing salad. 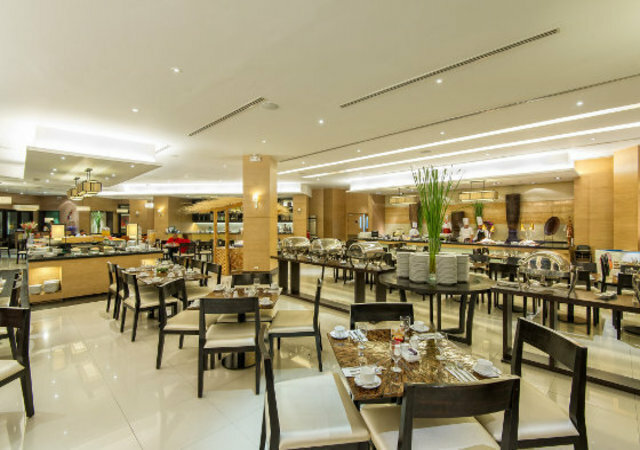 Besides there is also an extensive vegetarian menu. 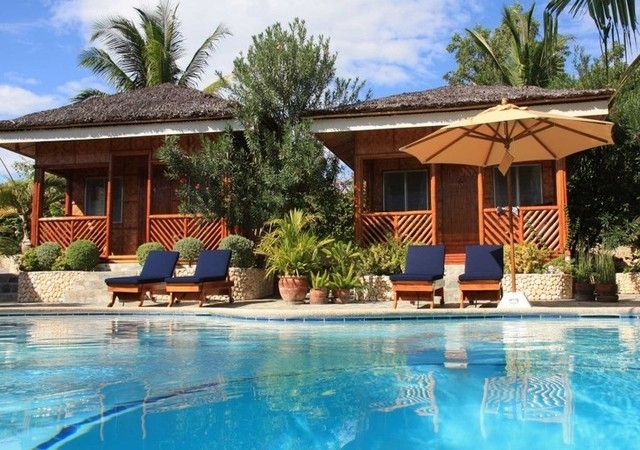 Three cottages and a spacious sunbathing terras surround our swimming pool. Great adventure trip can be organized from here such as canyoning, river climbing and biking. 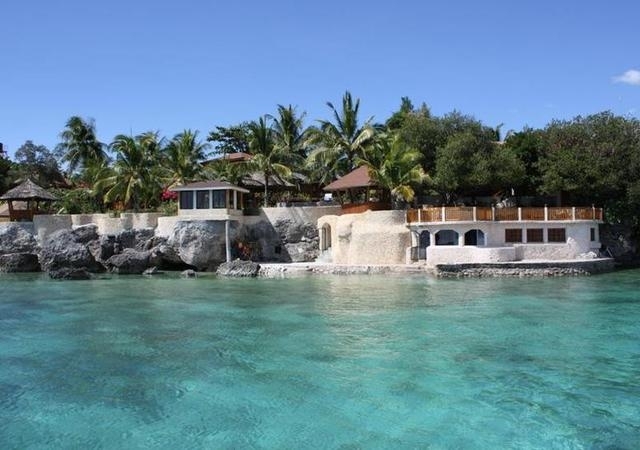 Moalboal is 3 hour drive away from Cebu city. 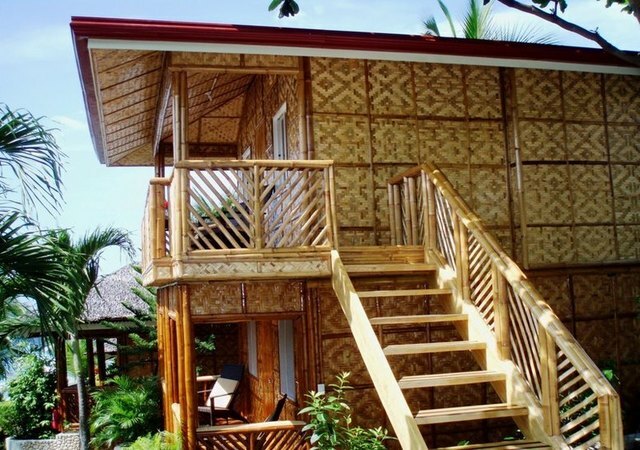 Ten spacious cottages for two persons. Five of the cottages are big enough for an extra bed if it’s needed. All of the cottages have everything you need for a relaxed holiday including air-conditioning, a fan and a hot shower. 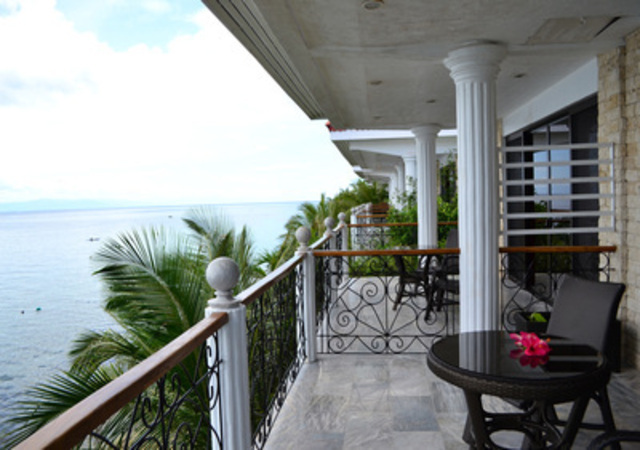 Every one has a private veranda with seating and either a sea or swimming pool view. All cottages have: aircon and ceiling fan, hot water shower, guests soaps and shampoo, hair dryer, safe deposit box, pool towels, unlimited mineral water for FREE, private balcony with comfortable chairs. Cottages consist of double or single beds and are fully adapted to the European standards.